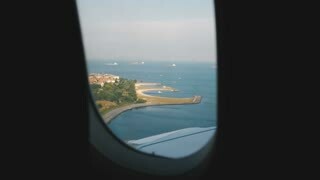 Airplane is landing over beautiful sunny summer seaside city, amazing view of city and wing through plane window. 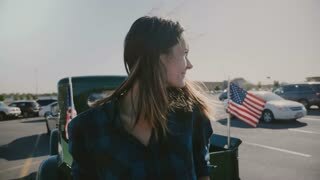 Back view of young beautiful American woman walking by cool green vintage pickup truck with USA flags slow motion. The process of making a big chicken meat sandwich, human hands lay out ingredients on large bread piece with a tool. 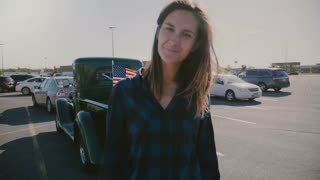 Portrait of young beautiful smiling American woman with flying hair posing at car park near cool old truck slow motion. The process of making a big king size meat sandwich with ham and salami. Human hands lay out ingredients on large bread. Atmospheric portrait of young beautiful smiling country woman with flying hair at big American car park slow motion. Portrait of young beautiful smiling woman with hair blowing in the wind posing at car park near cool pickup slow motion. 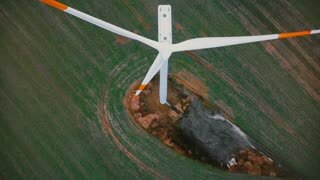 Drone flying very close up to working windmill turbine with red stripes, alternative ecological energy sources concept. Beautiful aerial cityscape panorama of Riga old town, busy car traffic and Daugava river under fog on cold autumn day. 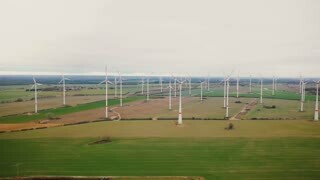 Drone panning right along large windmill turbine farm generating eco-friendly renewable power in cloudy autumn field. 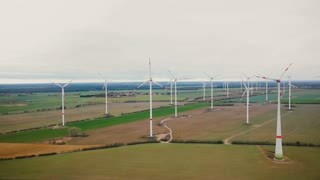 Scenic aerial panorama of windmill turbine farm working near autumn forest lake field, eco-friendly environment concept. 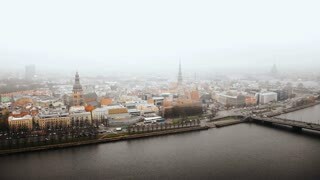 Beautiful aerial skyline panorama of Riga old town, car traffic moves along Daugava river under fog on cold cloudy day. 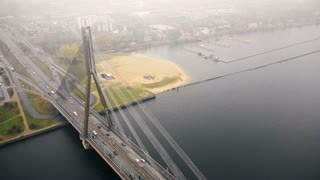 Drone flying towards beautiful old cable bridge full of car traffic over epic Daugava in Riga on grey foggy autumn day. 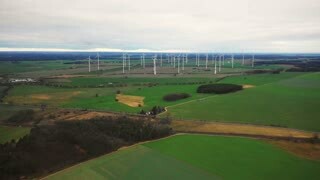 Amazing aerial close-up shot, flying above windmill turbines farm in autumn field, ecological electric energy sources. 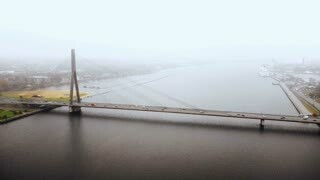 Amazing aerial panoramic shot of atmospheric old cable bridge, car traffic over epic Daugava river in Riga on foggy day. 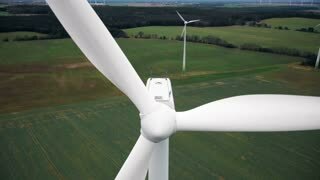 Drone rising above large windmill turbine with red blade stripes, alternative sustainable eco energy sources concept. 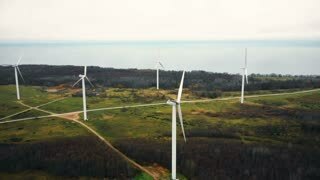 Close-up aerial shot of large windmill turbine with spinning red blade stripes, renewable eco energy sources concept. 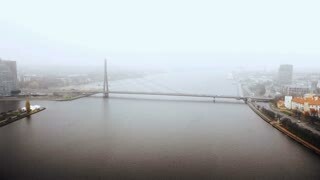 Amazing aerial cityscape view, traffic on cable bridge over Daugava in Riga old town under thick fog on autumn day. 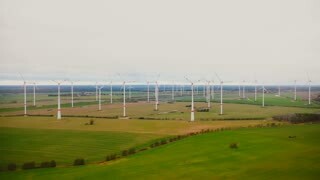 Eco-friendly power industry, scenic aerial background shot of large windmill turbine farm working in autumn field. Amazing aerial cityscape panorama of Riga old town and car traffic along river Daugava under fog on cloudy autumn day. Beautiful aerial cityscape view of Riga old town and bridge over the river Daugava under thick fog on cloudy autumn day. 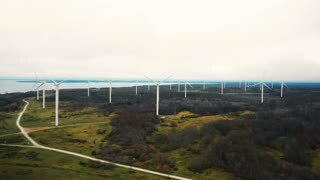 Drone slowly flying towards windmill turbine farm and cargo delivery logistics terminal on a highway in cloudy field. 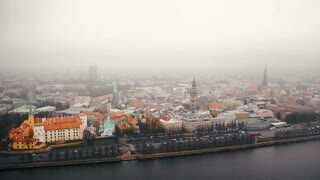 Drone is descending over beautiful aerial panorama of Riga old town with car traffic along Daugava river on cloudy day. Beautiful aerial cityscape view, giant flag of Latvia waving above the river Daugava and buildings on foggy day in Riga. 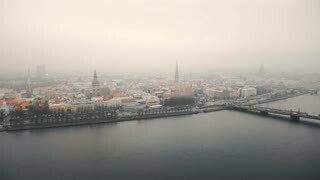 Beautiful aerial skyline panorama of Riga old town and Dome Cathedral, car traffic at Daugava river on foggy autumn day. 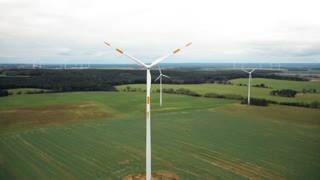 Drone slowly flying away from windmill turbine farm in cloudy autumn field, ecological renewable electricity concept. 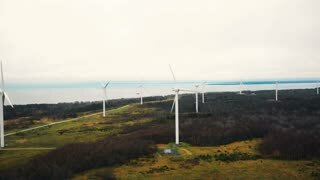 Beautiful scenic aerial panorama of ancient Turaida castle museum in Sigulda, Latvia, autumn foggy forest and highway. 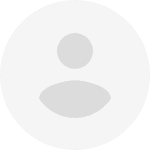 Drone flying high up around ancient Turaidas castle museum reserve in Sigulda national park foggy forest, Latvia. 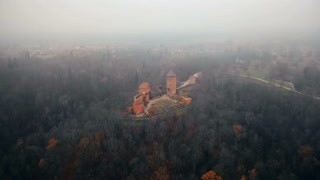 Drone flying low over ancient Turaida castle and museum reserve in Sigulda, Latvia, autumn foggy forest and river view. Aerial view of majestic ancient Turaidas castle reserve museum in Sigulda, Latvia, foggy autumn green forest scenery. 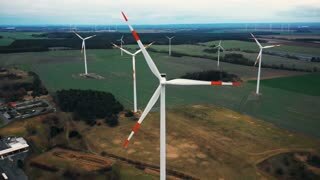 Drone tilts down low over ancient Turaida castle and museum reserve in Sigulda, Latvia, a national tourism landmark. 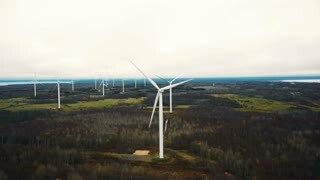 Drone flying high above lush autumn foggy forest, beautiful national park nature reserve in Sigulda, Latvia. 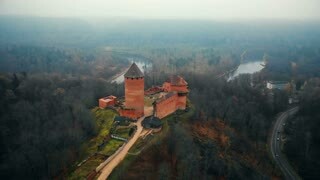 Beautiful aerial shot of mysterious ancient Turaida castle museum in Sigulda national park reserve foggy forest Latvia. 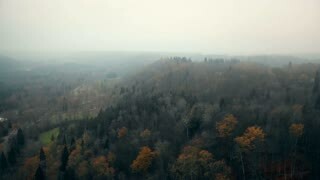 Drone flying towards ancient Turaidas castle and museum in Sigulda national park reserve, autumn foggy forest in Latvia. 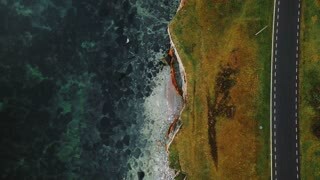 Top view drone flying along beautiful autumn bay road close to ethereal eroded sandstone sea shore, road trip concept. 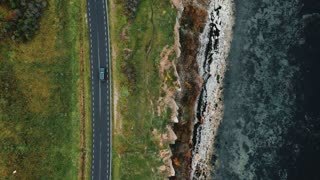 Top view, drone zooms in tracking black SUV car driving on autumn road trip near beautiful eroded sea shore coastline. 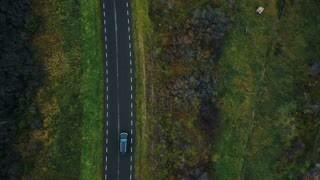 Aerial top view, drone zooming in on black car moving along highway road along autumn forest on a cloudy day trip. 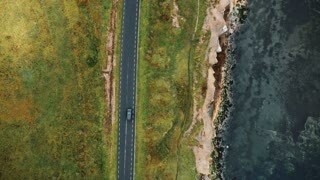 Aerial top view tracking shot of black car moving along epic highway road along old autumn eroded sea bay coastline. 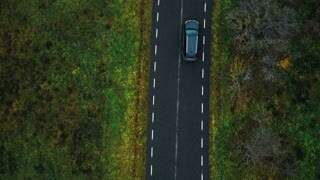 Scenic aerial top view close-up, drone tracking black SUV car moving along highway road along cloudy autumn forest.